SASB Foundation has elected Else Bos to its board of directors. Ms. Bos will serve a three-year term as of January 1, 2019. 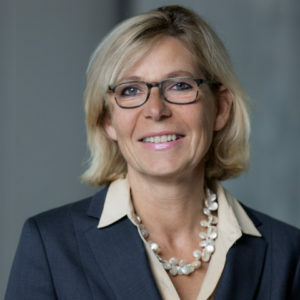 Bos currently serves as the executive director and chair of Prudential Supervision at De Nederlandsche Bank, the central bank of the Netherlands, a part of the European System of Central Banks (ESCB). Bos’ election comes at a critical time for SASB’s standards, which were recently codified in October 2018. The globally applicable standards now covering 77 industries are already being used by leading companies and investors, and align with and complement other sustainability reporting frameworks. “Else brings extensive global experience and expertise in asset management and sustainable investing to the Foundation. Her deep knowledge of the industry and capital markets will be of great value to SASB as we accelerate our initiatives to promote adoption of our newly codified standards and to expand our presence globally, especially in Europe,” said Bob Steel, Chair of the SASB Foundation Board of Directors. Bos joined De Nederlandsche Bank in July 2018 after serving, since 2013, as CEO of PGGM, the pension provider for PFZW, the second largest pension fund in the Netherlands. She also held various board positions at PGGM, such as Chief Institutional Business (2010-2013), Chief Executive Officer Investments (2005-2009) and COO Investments (2002-2005). Prior to this, she worked for NIB Capital Asset Management and ABN AMRO. She also serves on several boards, including those of the International Centre for Pension Management (ICPM) and the Supervisory Board of NOB (National Opera and Ballet). Since 2017, she has been a Trustee of the IFRS Foundation. Bos is also a strategy advisor to the board of FCLT Global, a non-profit organization working to encourage sustainable practices in business and investment decision-making, where she was a board member until the end of 2018. In addition, she has served on other boards, including those of the United Nations PRI, and the board of the Pacific Pension & Investment Institute (PPI). She was also a member of the Dutch Monitoring Committee for Corporate Governance. 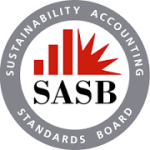 The SASB Foundation board of directors appoints the members of the SASB Standards Board and oversees the standards-setting process.